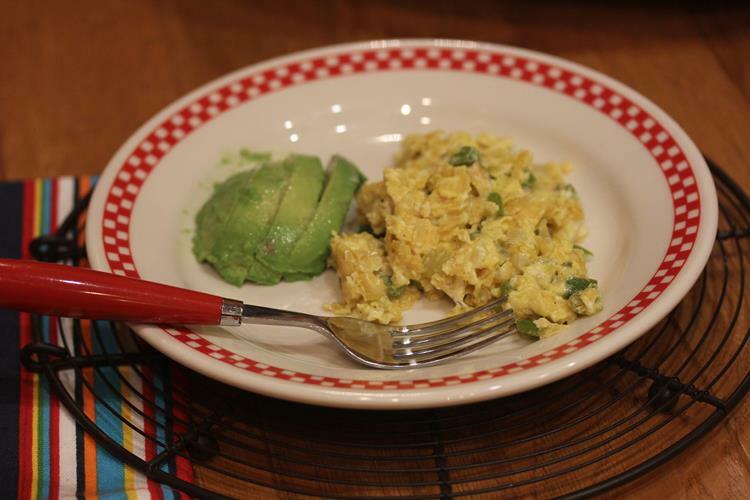 Mexican Scrambled Eggs are quick, easy, and inexpensive to make and work perfectly for an easy breakfast for dinner meal. One of the things I plan to do in 2016 is get back to my Cooking Collection series. I shared some recipes for this series in 2015, but not nearly as many as I had hoped to share. I love this series because it helps me use some of those forgotten cookbooks that have been on my shelves for years. Many of the cookbooks I have are older ones, but those cookbooks often have the best recipes. I also have a few new cookbooks that I am excited to also share about. I am also thinking about doing a few recipes from some gluten free cookbooks that I own in my gluten free section, so if you are gluten free be sure to look for those coming soon. The first recipe I am sharing for 2016 is one my family has eaten several times recently. 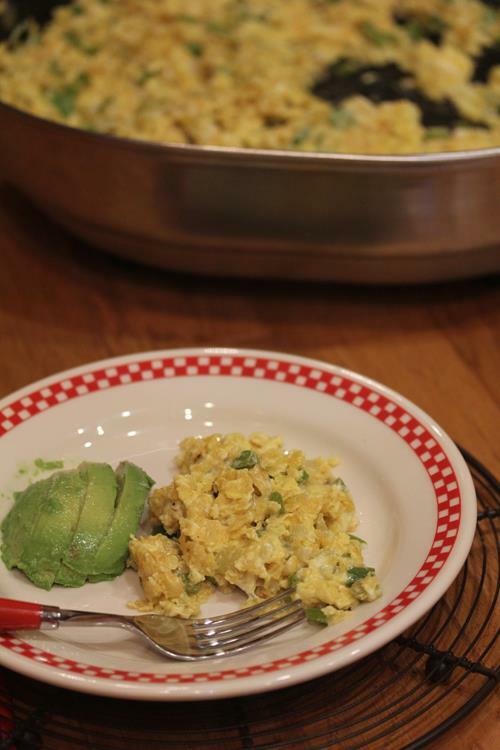 My whole family loved these Mexican scrambled eggs. I loved how quick and easy they are to make. They make a great breakfast for dinner. The recipe comes from The America’s Test Kitchen Family Cookbook . It is one of my favorite cookbooks. When I was looking up the cookbook on Amazon for this post I realized that they no longer sell this. You can find used copies, but it is no longer in print. I was a little sad to realize that because this cookbook is one of my favorites. I have used it a ton over the years. 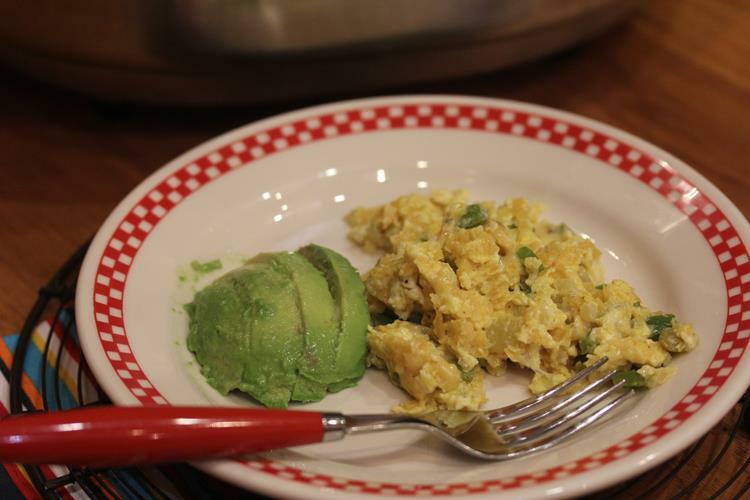 This recipe for Mexican Scrambled Eggs is basically a version of migas. It is cooked a little differently though and I think it makes them even better than the migas I have made before. If you need a quick and easy breakfast or dinner recipe that is also budget friendly this recipe is perfect. Eggs have gone up in price quite a bit in price, but they are still a pretty cheap source of protein. This recipe is also gluten free which is a nice bonus for those needing gluten free meals. A quick and easy breakfast for breakfast for dinner. In a bowl whisk together the eggs, tortilla chips, salt, and pepper. Set aside. Melt the butter in a non stick skillet or cast iron pan. If using oil just heat the oil in the pan. Add the onions, bell peppers, and jalapeno ( or green chilies). Cook until onions and peppers are tender. Add garlic. Stir and cook for 30 seconds. Add egg mixture to the pan and cook while gently folding, stirring, and scrambling eggs. Cook for 3-4 minutes or until eggs are cooked, but not dry.